A Conservative MP said the media has turned ‘Jihadi John’ into a modern day Jesse James. 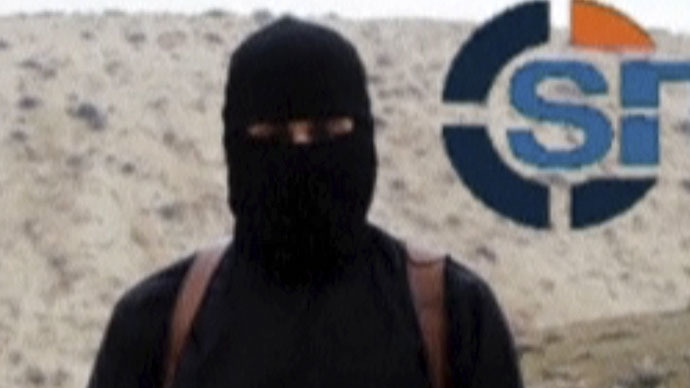 He strongly condemned the media for printing pictures of Emwazi and using a nickname for him. It is “abhorrent” to treat him as a celebrity, he said. By repeatedly publishing his image, Tory Bob Stewart said the media could have supported the notion that some actions of ‘Jihadi John,’ who has been identified as Mohammed Emwazi, were defensible. The former Army colonel said: “I find it utterly abhorrent the media continue to put a photograph of a man who is a murderer and name him, and give him an identity by giving him a nickname. Meanwhile, Home Secretary Theresa May has urged journalists to be “responsible” in their reporting, during a Commons urgent question on the threat Britons who join the Islamic State (ISIL) pose. However, she added a free press is vital in a democratic society. “I'm not going to comment on any individual case or where there are on-going investigations taking place,” said May. When discussing the recent case of three British schoolgirls who traveled to Syria to join Islamists, May said revealing the girls’ names is a serious issue for the media. “These families in that case are under considerable stress and trauma, suffering as a result of their daughters having gone to Syria, and I would expect the media to respect that,” she said. Emwazi’s mother reportedly knew the masked executioner was her son when he appeared in the first video depicting the murder of American journalist James Foley. Kuwaiti investigators have been told Ghania Emwazi immediately recognized his voice, but it is believed she didn’t tell the authorities.